currently under construction at Rockledge Drive, Bethesda. The development is scheduled for completion in 2016. 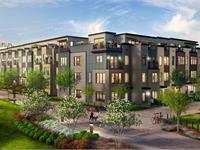 Sales for available units range in price from $749,900 to over $1,124,900. 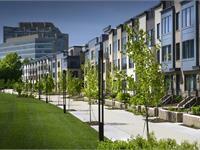 Montgomery Row Townhomes has a total of 168 units. Sizes range from 1700 to 2600 square feet. Montgomery Row in Bethesda, MD offers the best in Modern Townhome Living™ — contemporary elegance, wide-open floorplans and community amenities including park and playground. A walkable urban enclave steps to hundreds of shops and restaurants, it’s a special place you’ll want to call home. Your inquiry will be delivered to the Montgomery Row Townhomes sales team, who will send you more information about this development.